LocksmithNear North & South Dublin Area has been in existence for more than 4000 years. They started out as creators of wooden locks that prevented doors from opening. The advent of metal brought a change in the art of locksmith. The profession was more of a craft that saw individually crafted locks made of metal. The present-day Locksmiths Dublin is known for the creation of locks in their various forms to secure rooms, storage devices, and cabinets. They have either a general skill set or are specialized in an area like the creation of locks for cars only. They act as consultants for security outfits and even the government as forensic locksmiths. In other places, the locksmiths become certified after learning at a school or institution. It is a profession that takes years to master and requires hands-on practice to become knowledgeable. Locksmiths in some places start off as apprentices and learn under a teacher. The locksmith also helps bypass the car security feature to gain access to the car. They are also helpful in duplicating car keys and keeping extras for cases of emergencies. Safes created by locksmiths ensure that valuables like jewelry and document can be kept safe from theft and damage. Locksmiths are not just useful for when we misplace our car keys or house keys. They can be seen virtually every area of our lives, even when they are not at the forefront. The locksmith's area of specialty is safety and security. They have a lot more functions and can be seen in the implementation. Locksmiths are an integral part of our community and environment. They play a vital role in the safety of a home, office and even the locality. 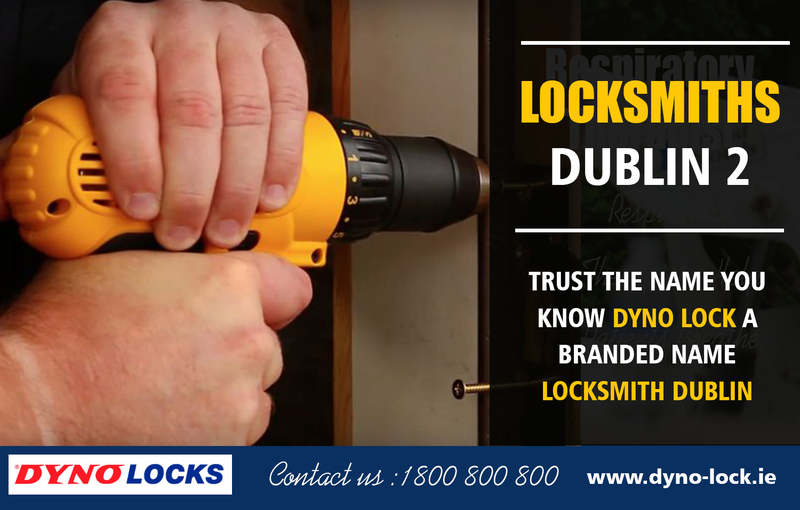 Locksmiths Dublin ensures that the safety of both lives and property can be achieved. It is a profession that requires dedication and commitment and a high level of trust. Safes protect our valuables from the prying eyes of house workers, fire outbreaks, and even flooding. Vault services by Locksmiths Dublin are not limited to Safes opening, safe repairs and relocation of safes due to moving to a new house and upgrading of safes from old to digital technology. This is not a common area for locksmiths as it has to do with analyzing a safety system, safe or lock to see if the system has been tampered with and finding out how it has been tampered with. This field of locksmiths can mainly be seen in security and law enforcing agencies. It requires certification and a good working knowledge of locks, security systems, and safes. It also needs the locksmith to understand how metals work. Forensic locksmiths are called upon to ascertain the way the security system was compromised, the tools used and the area of the security system that was penetrated. These locksmiths specialize in an area of the field of locksmiths and maintain or grow in knowledge in that field. These locksmiths can be seen in the automobile industry as car locks designer tasked with creating locks for cars. They spend their expertise in that particular area. They can be called upon during the building of houses and apartments. They are involved in the installation of security alarms and CCTV. Locksmiths are vital in keeping the home safe and secure. Some home locksmith services include door locks, and key cutting, and garage door automation. One of the most common uses of Locksmiths Dublin is the creation of keys. Locksmiths in different countries use different materials for the construction of the keys. Some locksmiths use steel as their main material while brass is used in other countries. This division is based on the availability of the materials in the various countries.